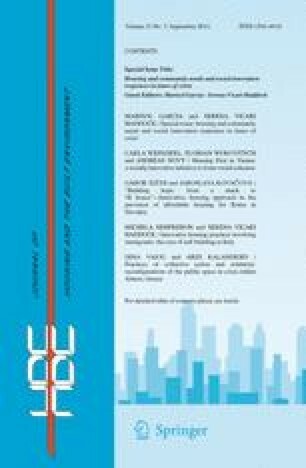 In this special issue, we present and analyse innovative practices and policies in European cities that show collective actors and institutions taking action in response to new or inadequately met social needs, in particular those related to housing and community. The area of unmet social needs has at its centre housing, as in the last two decades all major European cities have experienced increasingly severe housing crises, with the result that access and affordability of this basic good have become difficult for larger groups of people. Under the pressure of fiscal austerity, the reduction and privatization of public services such as social assistance, education and community amenities have resulted in cities being unable to respond to such needs. Goods and services increasingly commodified under market dynamics have become accessible only to those who can afford market prices.